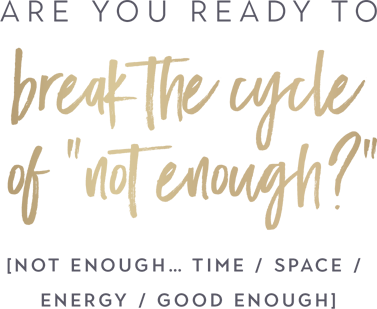 I want to share a very special announcement with you today about a free event I am hosting. It only comes around once/year so if you’re feeling it I’d love for you to join me this year! Whether your new to this community or have been with me for many years you know how passionate I am about embodying and teaching the importance of expressing, loving, nurturing, and accepting all parts of you. And whether or not at this very moment your inner voice feels connected to that truth, I know you feel it too; the importance and essential choice of living your life BEING and expressing you (quirks, tears, passion, and all). Expressing yourself fully is as vital as eating and breathing and drinking water. It is your own life force, your energy, and creating space for all of your expression to freely move through you (your voice, feelings, body experience, movement, stillness, making art, cooking, etc.) makes all the difference in living a life where you feel free to be you; unedited, confident, connected, and at ease in your own skin. As women we’ve been taught to keep ourselves locked in metaphorical chains of “appropriate”, not too big, not too small, not too loud, be a good girl, etc. So often we’re inundated with messaging around the “right” way to be a woman, and truth be told, it’s easy to get lost in all that…to let others’ opinions and beliefs dictate how we show up, even if we don’t know we’re doing it. Yet, your natural expression (however that shows up moment to moment) is something that cannot be tamed. Whether it’s sharing a vulnerable truth you’ve been hiding with a friend or lover, rolling your yoga mat out and letting your body flow of the music, listening to your inner voice that says “go for that job, relationship, next step even though the path is not certain”, or those quiet moments being in stillness while the sun kisses your forehead you’re here on this planet to partake fully in partnership with your own expression-because it is you. And SO, it’s time. Time to fully rest into you and your expression because as we can see collectively this year #TIMESUP. SO much is possible as you step even more deeply into uncovering your essential expression and your own unique way of moving, speaking, and being you. Which is why I am really jazzed to invite you to the second annual The Expressed Woman (in person, complimentary, mini-retreat), for you to do just that! Click HERE to learn more details and to reserve your spot. I believe – and have built my work around this belief – that it’s time for a new collaborative, feminine, embodied approach to life. One that allows you to create a way of living and expressing that nourishes you, feels pleasurable, and most importantly is uniquely you. This day is in service to you and your expression – no formulas, 10 steps, one size-fits-all during this day – it’s an invitation to come as you are and to support you in identifying, embracing, nurturing, and unleashing the full spectrum of your expression inside you. You can claim your complimentary ticket to this powerful event HERE. From a nurturing yoga class (all abilities welcome) to inspired teachings around how to open back up to and nourish the many ways you express yourself daily, this event is going to revolutionize the way you experience your own expression! In addition to what I’ll be leading you in throughout the day I have also invited a beautiful line-up of guest facilitators who will be sharing some of their favorite practices to support you in feeling at home inside yourself. Most of us have spent most of our lives being programmed to shut down the part of ourselves that’s based in our most essential truth. 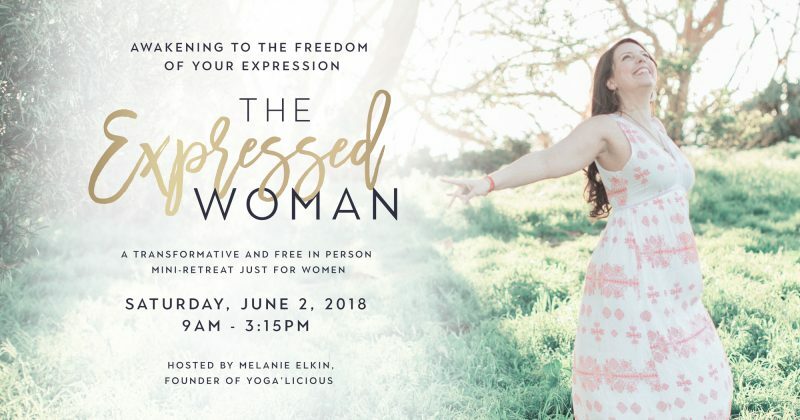 This event is about re-claiming your unique expression in ALL its forms, and feeling the freedom, ease, and comfort that comes with that. Imagine ALL the creative possibilities that would emerge for you in your personal life, relationship with yourself, romantic partnerships, and your work life if you were to choose to live as the fully expressed and delicious woman you already are.